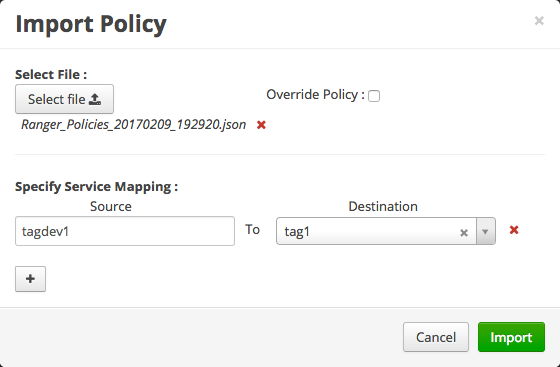 How to import tag-based policies. The Import Policy page opens. You can only import policies in JSON format. 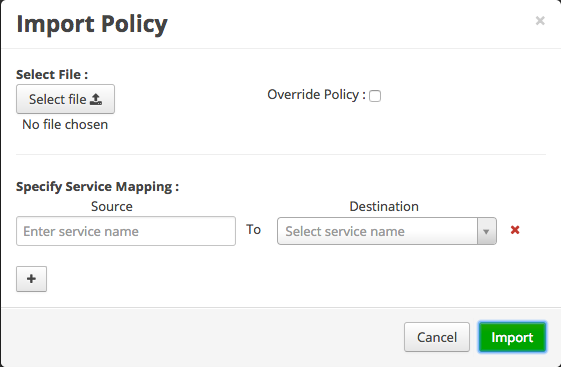 The Override Policy option deletes all policies of the destination repositories. Service Mapping maps the downloaded file repository, i.e. source repository to destination repository. 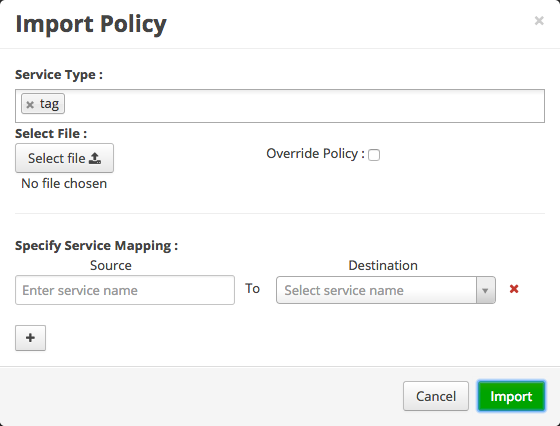 Service Types enables you to remove specific services from the import.